Philadelphia Police say that a man has turned himself in on Friday night, 7/13, in connection to the stabbing death of a prominent real estate developer near Rittenhouse Square on Thursday night. 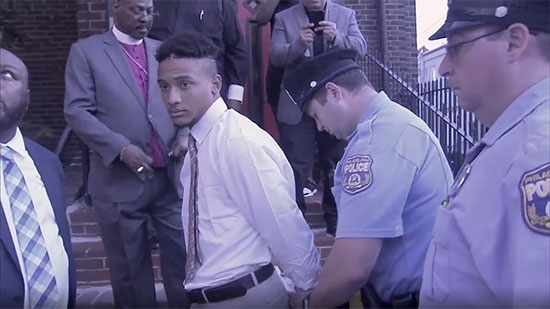 20-year-old Michael White, a Morgan State University college student home on summer break, turned himself in to authorities at 4 p.m. at True Gospel Tabernacle Family Church as part of a peaceful surrender. Bishop Ernest McNear of Philadelphia Peaceful Surrender said, "We're doing this because he deserves dignity and respect. We've been doing this for over 10 years." White is accused of stabbing 37-year-old Sean Schellenger in the back during an altercation at 17th and Chancellor Streets around 11 p.m. Thursday, 7/12. Schellenger was a passenger in a car stuck in traffic and had gotten out to try and get cars to move. White was on a bike riding through the area. An argument between the two ensued. White pulled a large knife from his bag and stabbed Schellenger who died at the hospital. White fled the scene leaving his bike and bag. Gregg Thompson of Philadelphia Peaceful Surrender said, "He said to me that it was a situation that got way out of control and that he felt extremely threatened by three gentlemen that were in the car." No charges have been filed as investigators question White. UPDATE: Michael White has been charged with first degree murder and possession of an instrument of crime. He was arraigned and is being held without bail. A preliminary hearing is schedule for August 1. 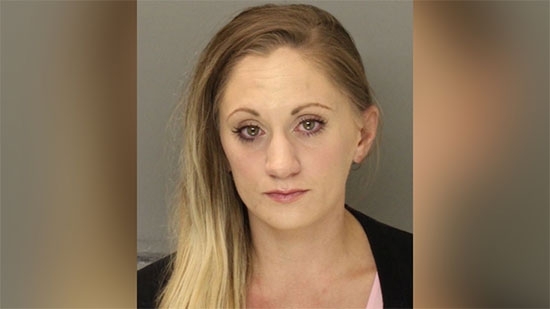 A Bucks County woman has been charged with criminal homicide after her 11-week-old baby died from a lethal dose of drugs transmitted through her breastmilk. 30-year-old Samantha Jones of the 300 block of Sellersville Road in New Britain Township was charged on Friday, 7/13, following an investigation after her son died on April 2nd. After several attempts to feed the child overnight that night, the baby was found pale, bleeding, and unresponsive that morning. The baby was rushed to the hospital where he died. An autopsy found the child died from a combination of methadone, amphetamine and methamphetamine transmitted through breast milk. Jones told investigators she was taking methadone for an addiction to painkillers. She also said she had been breastfeeding, but switched to formula three days before the baby's death because he wasn't getting enough milk. Bail has been set at $3 million cash. A preliminary hearing is set for July 23rd.